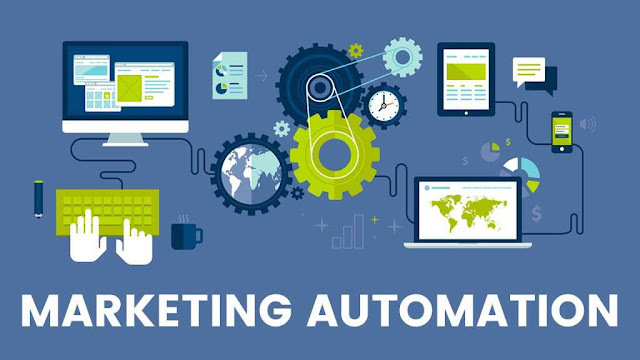 As the name suggests, marketing automation is software designed the automate your marketing efforts. There are companies that power marketing automation specifically for B2B companies (e.g., Pardot, owned by Salesforce.com), specifically for B2C companies (e.g., ExactTarget, owned by Salesforce.com) and companies that try to power both with their solutions (e.g., Marketo, HubSpot, and Eloqua owned by Oracle), which can be tough to do, since the needs are so different between B2B and B2C companies. So, be sure to research the various features and functionalities therein, to see which platform, can best meet the needs for your business. I just did a deep dive on this space for one of my clients looking for a B2B solution. So, below is a summary of example types of functionality these marketing automation platforms offer. Dynamic Content in Website/Email: Personalize your web or email content specifically to the users' needs or interests, based on information about them mapped in your CRM. Dynamic content can increase sales by 20% with more targeted messaging to the users' exact needs. Smart Lead Capture Forms: Require users to use corporate email address, not personal addresses where competitors may be fishing for information. Power walled content and white papers with a sign-up page. And, automatically sync and de-dupe all contacts from here, with your CRM. Progressive Profiling: Allows you to slowly gather database information about a user over time, instead of scaring them away with a big survey form upfront. Ask a couple different questions about them and their needs, with each different user session, that aggregates into the CRM over time. Lead Scoring: Determine how serious a lead is based on their website behavior. For example, did they visit your pricing page or not? How much time did they spend on your key web pages? What is their work title in the CRM, and is that a logical buyer for your services? Lead Nurturing: Allows for automated email follow-ups to leads within the CRM, based on their user behavior? For example, they didn't respond to initial email outreach, so send a follow up email. Or, you know you sent a proposal and didn't hear back from them, send an automated email asking their reaction. This saves manual time for your sales team, keeping them focused on selling. Real Time Alerts: These will trigger automated emails to your sales team based on user behavior tracked with cookies. For example, if one of your "hot leads" just came back to the website, let their matching salesperson know, so they can immediately check-in with them. Dynamic Targeting: Don't mass email all your users the same messaging. Personalize and customize the messaging based on their user profile. For example, send customers vs. prospects a different message. Or, you know they already bought product A in your CRM, promote them product B.
Email Blasting Platform: You no longer need a separate email blasting system, like Mail Chimp or Constant Contact, as all of that same functionality is built herein, typically with much deeper functionality. So, now, both your email system and CRM will automatically be in sync for unsubscribes and other user activity. Responsive Design Templates: By powering your website with this platform, you can often automatically tailor the web experience to the platform the user is coming in from (e.g., PC, tablet, phone). Auto Task Creation: The system can create automated tasks for your sales team, based on data being stored in the CRM. These tasks could be time-triggered or user-behavior triggered, based on whatever business rules you want in place and enforced. A/B Testing: Help your marketing department automatically test various creatives and various offers with small subsets of the list first, and then, pick the best performer to blast to the broader list. Integration With Paid Search: Many platforms allow you to tie your pay-per-click marketing activity on sites like Google to the system, to allow you to serve customized landing pages on your website, based on the keyword the user was searching for. Integration With Social Media: Many of these systems also offer integration with social media. That could include tying users' social media profile information into your CRM. Or, automatically posting target messaging to your company's social profile pages. Reporting/Analytics: Most of these tools come with sophisticated reporting and analytics packages to track success against objectives overall, by user and by employee. 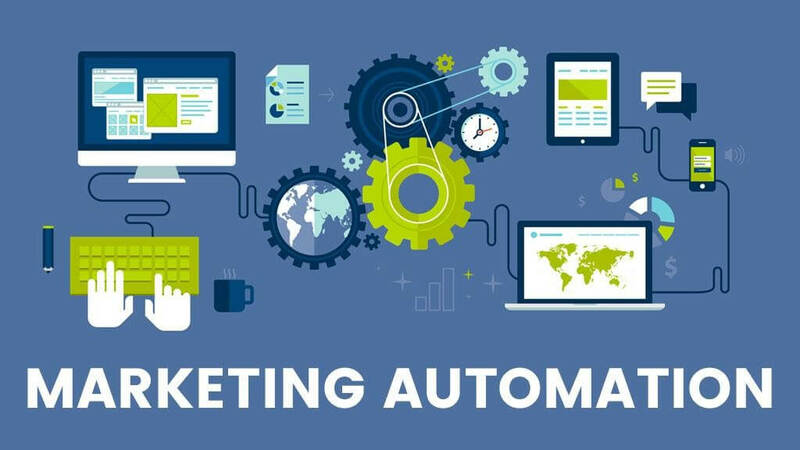 Hopefully, this gives you a better understanding of marketing automation and the various functionalities the better systems offer. But, worth mentioning, these platforms can get expensive, where licenses can start from around $1,000 per month for medium-grade solutions, and go up from there. So, these tools are most-likely not a good use of limited resources for very early-stage startups, where budgets may not be able to afford it. But, these are a must-have to automate and optimize your marketing efforts, as soon as you can afford them. Whether you are asking fans to purchase a new special, or asking your employees to promote your brand to their social media networks, the thought, energy, and effort you put into making their experience a simple and pleasant one will go far in earning you credibility and goodwill. Don’t ask your people to give you money or sing your praises without making sure you’ve made it easy for them to do so. Should Your Startup Offer Employee Benefits?